In the normal course of life, we breathe in spontaneous response to an inner impulse but our thought is rarely focused on the act of breathing, We are born knowing how to breathe, and it occurs to us automatically, naturally. We are breathing even when we are not aware of it. So it seems silly to think that one can be told how to breathe. Even so, one’s breathing is transformed by life experiences in many different ways, not just momentarily, but habitually. We develop unhealthy habits of breathing without being aware of it. For instance we may have put on excessive weight that compels us to take shortened breaths. We may be living in environments that are not beneficial for the health of our respiratory system, and our bodies may have adapted to the conditions even without our being aware of what is happening. With the pace of modern life, hurrying has become a habit, and with a sense of hurry, we get too emotional too easily, and most of the rest of the time we suffer from anxiety due to worry. These negative emotional states affect the rate of breathing, causing it to be fast and shallow. Modern technology and automation reduces our need for physical activity. There is less need to breathe deeply, so we develop the shallow breathing habit. Working indoors more and more increases our exposure to pollution, and as a result, the body instinctively inhales less air to protect itself from pollution. Without knowing it, our body just takes in enough air to tick over. And these bad breathing habits become part of our life. Unless we do something to reverse these habits, we can suffer permanent problems. The good news is that these are reversible, and to help change these habits, we have the ancient wisdom that comes through yogic practice that instill good breathing techniques. 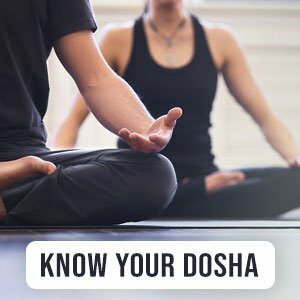 The ancient yogic knew the importance of correct breathing and develop techniques not only to increase health and life span, but also to attain super conscious states. These techniques are taught in yoga.